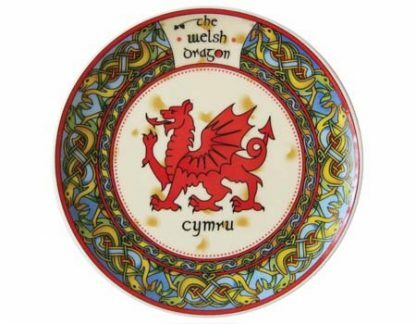 A beautifully decorated, bone china Welsh plate. Hand crafted with a traditional Celtic weave design using primary colours. 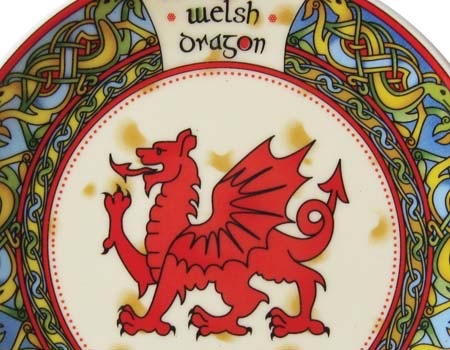 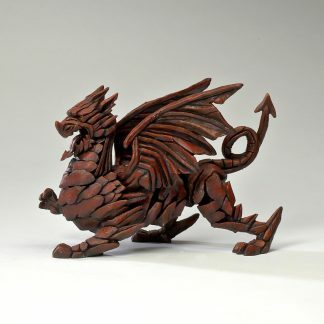 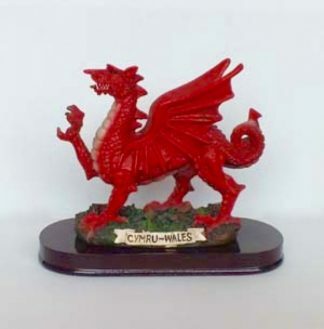 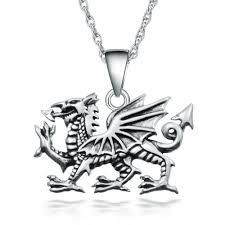 Features a magnificent welsh dragon ‘Y ddraig goch’ in the centre with ‘Cymru’ underneath. Each plate has a hanger on the back and a display stand included.